IS THERE A TWELVE- STEP PROGRAM FOR BREAD? WHAT IS IN THESE THINGS?! Nurse Angry suspects cocaine, but it could be some other natural or man-made highly addictive substance. 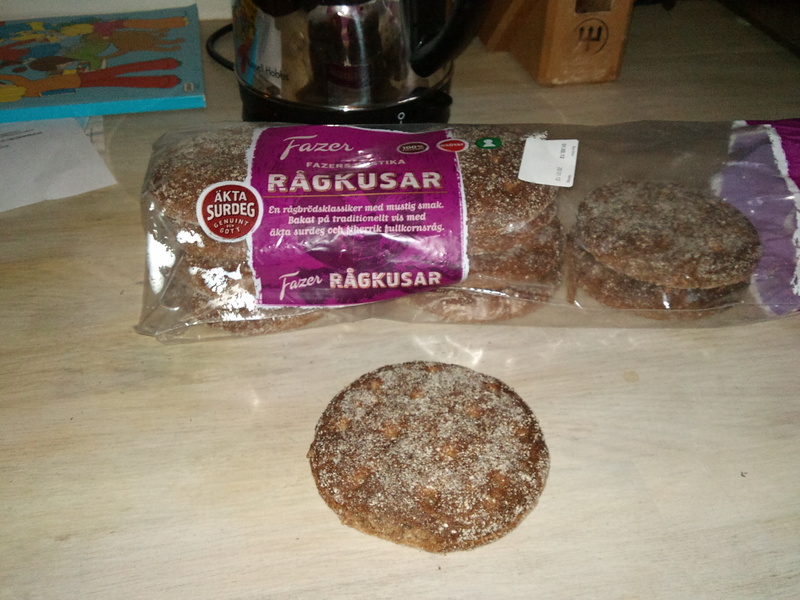 Nurse Angry is completely addicted to these fake-Finnish unsweetened sourdough rye breadlets. She has been for years and she doesn’t mind admitting it. Never, ever has she been able to buy a bag and not eat one right when she gets home. Sometimes the rest of the groceries don’t even get unpacked before she stuffs one down. Nurse Angry has, on occasion, consumed part of the plastic bag in her feeding frenzy. Happily, lunchtime and shopping coincided today. The SMELL! Don’t ask how it’s possible, but these things are better than most cookies. And they are just as good a little stale as they are fresh. Eat them as is or toast them, with only butter, or cheese, hummus, peanut butter’s nice, etc. etc. Nurse Angry doesn’t care. Luckily they come in a 12-pack, so major junkies can shop less frequently, or just eat more. Nurse Angry Like. Check out this mouth-watering list of ingredients: Wholemeal rye flour, water, rye sourdough, whole wheat flour, rye fiber (Fazer Rye Fiber®), salt, yeast. So what is it they’re not telling us? Nurse Angry is just asking. Oh, THOSE. Indeed they are yummy. I had to move back to the States to get away from them. Nurse Angry wouldn’t go that far.